Fabric: Any light weight, soft drapy fabric will work with this pattern. Cotton/silk voile, crepe de chine, soft cotton lawn, rayon, silk. (You will find fabric qty required on page 3 of your instructions). Cheap fabric similar weight and drape to your fashion fabric for a toile if you choose to make one. The Venus Kimono is a one size fits all pattern but if you want to test the design and size before making it up in your fashion fabric I suggest sewing a toile which is a mock up in a cheap fabric. You will need the same quantity as your fashion fabric. For the Venus Kimono you will need a fabric with a fair amount of drape. Lightweight doesn’t necessarily mean it has drape. If it’s lightweight but too stiff (like organza) the shoulder pleats will not sit nicely. The easiest way to test this is to unroll about a meter of fabric off the roll and in front of a mirror and drape it over your shoulder. Bunch it up a little. Does it naturally drape over and is flowy or is it sticking out and not hanging quite right? You will get a good feel for the drape by testing it first. 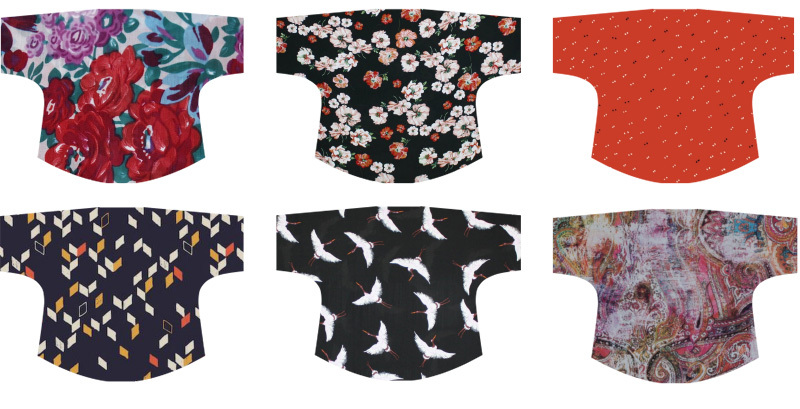 I have found some fabric examples that would work for the Venus Kimono which might help you when choosing. You can also check out my Youtube video on choosing fabric for your Venus Kimono. Machine Needles, choose a needle for your fabric. A regular point size 70 or 80 is perfect for most woven fabrics. If you have chosen a lighter weight or more delicate fabric you might need a size 70. Iron and a piece of calico to use as an ironing cloth. 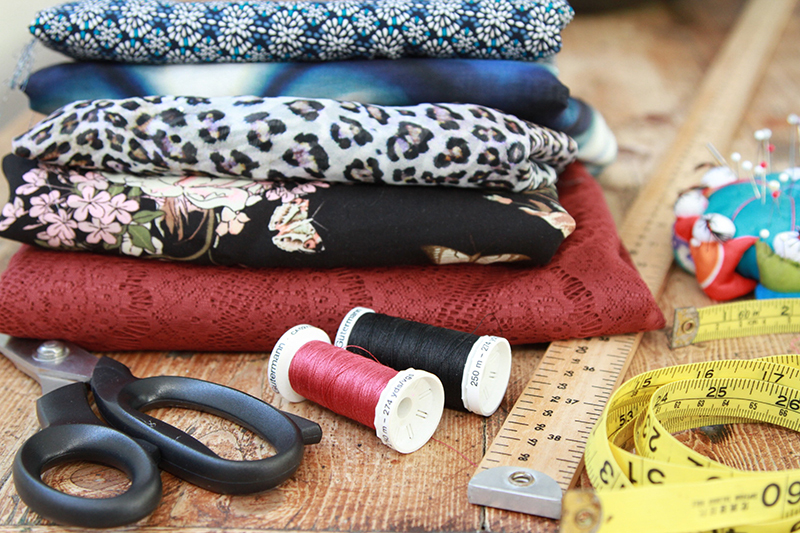 Preparing your fabric to sew. Make sure you pre-wash your fabric. Fabric will shrink a little or even warp a little once it’s washed so if you pre-wash it will prevent your Kimono from shrinking after the first wash. If you have chosen a fabric that is ok for the clothes dryer then throw it in the dryer too. Otherwise hang it out on your line and let dry. Press it and it’s ready for cutting. In the next step of our sewalong we will be putting the PDF pattern together. Make sure you have your pattern printed out, paper scissors and sticky tape ready to go!